One of my jobs this summer is to re-plan the ICT curriculum at my new school. This wasn’t a job I was given, but one I asked to do instead. It might sound crazy asking for more work, but I felt it would be better to have an overall view of ICT across the school and this seemed like a good way to do it.The teachers were more than happy for me to do it too! Now…where to start? In my old school, our whole curriculum was being re-done so that was the perfect time to look at ICT. We sat with various ICT elements e.g. email, presentations, spreadsheets, control etc and looked at where they would fit brilliantly and where they wouldn’t. One example was in Year 4 they were looking at Chocolate as their topic. Their main topic outcome was to design and create a chocolate bar and its packaging. So we put email in this unit because they could take a photo, attach it to an email and send it to Cadbury’s. If it didn’t fit, then we had a stand-alone unit such as Control. Yes, I could’ve made that fit with better/different topics, but I left it as stand alone. Choosing the topics wasn’t my place at that time. This time around I have more experience and I have lots of ideas of what I’d like the school to be doing. Ideally, I would like all teachers using ICT when it is appropriate. This might be in a maths lesson or as part of PE or to record music. I don’t think that this will be achieved this year. Looking at timetables, there is a very clear discrete ICT slot each week where ICT is expected to happen. So I think that my plan is to have discrete ICT this year and then embedded within curriculum next year. When planning the ICT I intend toplan 6ish lessons of an ICT area. This will be linked to the main topic (1/2- machines 3/4- Tudors 5/6 Space) but will be different to their main unit of work. This is partly as I haven’t got the full plans for each topic so it is hard to know where they are going with it, so I’ll keep it apart for now. As well as the lesson plans for ICT, I will be including some ideas that they can use or ignore. For example, in the Tudor topic, I will suggest using 2 Create a Super Story to make a Tudor book or use Wallwisher to ask the children what they know. Some of these are simple ideas and some will need a bit of training. But once staff see what Wallwisher or other tools can do, hopefully they’ll begin using them more often. So that’s the plan. But where to start? Do I use the National Curriculum? I should do, but it is 11 years old, is it relevant? Do I use the QCA? What about the new/ditched Primary Framework? or the International Primary Curriculum? I think I will have to ensure that all elements of the NC are covered before being fancy and doing other things. We teach in 1/2, 3/4 and 5/6, so maybe I should make sure all objectives are covered in 3/4 and in 5/6 to ensure coverage by the time that they leave our school? I think ideally, I’d like to move towards a time when each piece of software has a simple guide. This guide has ideas for how to use the software as well as possible NC objectives that it can achieve. The teachers can then decide which tools they use to meet the objectives each year. For example, they couldn’t use PowerPoint every time as they also need to include some spreadsheet work or research. But can you fully embed ICT? When do you teach skills? These guides would hopefully ensure that each teacher has the ability to teach the skills needed for their year group, but hopefully spread out throughout the year. I know this post has been a bit of a brain dump and me just chucking ideas, but I see it as something I’ve got to get right. I intend to plan 1 or 2 topics ahead of teachers this year but to have everything in place for September 2011 a few months early. It’ll be a big job, but a very exciting one. So how is the ICT taught in your school? Embedded fully? Or do you have discrete lessons? Or a mix? I’m thinking whole-school and not just in one class. All ICT in my old class was embedded, but some others kept it separate. 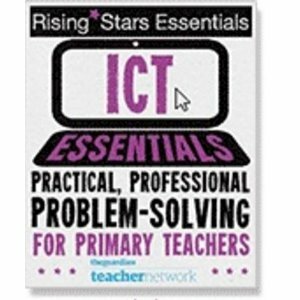 I will be planning all ICT but not necessarily teaching it all. Any tips or ideas? What has/hasn’t worked in your experience? I think you’re right to make sure the main elements of NC are covered. The guides sound like a good idea as well as long as they are not too cumbersome. Staff won’t read them & therefore won’t teach that skill. I’m sure you’re tweeeting with @DeputyMitchell. He seems to be moving things forward at his school. This all sounds great. This could be something we as lead professionslas could do together. Put all the elements of the online world in one place and build an ICT curriculum fit for the 21st century. It would have more than one day but something we could all share, use and develop. Good work! Make sure you have some rest before the busy autumn term. eLearning vs digital class stuff, we now have ICT fully embedded in the eLearning classes, always ongoing. Our short term planning is colour coded to reflect devices/apps/tools being used/integrated and we have moved into lots of choices for the children when working at the core subjects such as reading,maths and writing. We have our reading and maths tumbles on the wikispaces and we have all of our learning goals and timetables on the wiki also (it has moved into being our main shared space.) If you came into our eLearning classes you would see children working everywhere and anywhere, no set space unless with the teacher in a shared space. Felt chaotic originally but so much self managing going on for the kids, it’s just awesome.